This beautiful old window has outlived its original frame, and has been rehoused in a pine frame for display purposes. It was removed from a house in Lancashire during refurbishment. 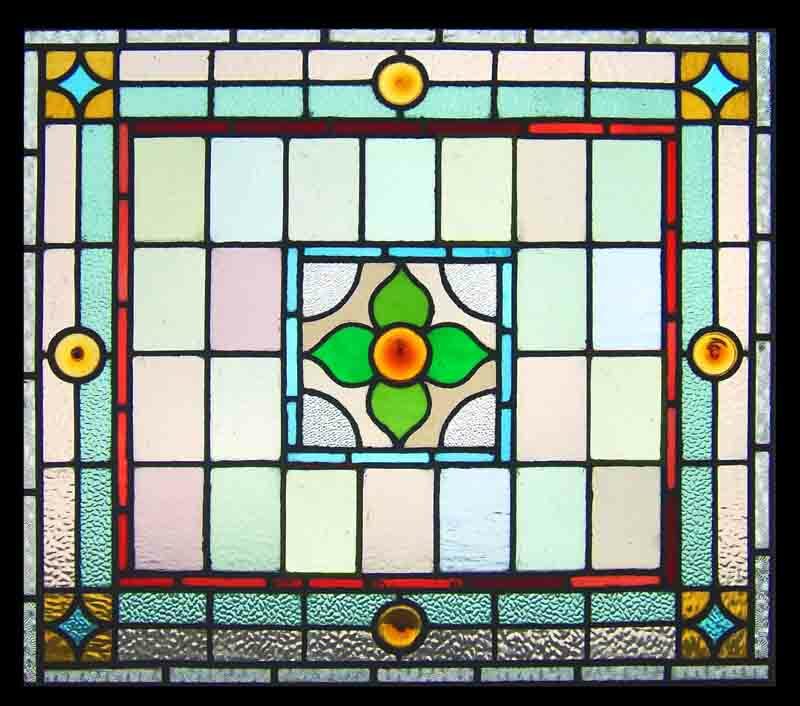 This is a HUGE window of outstanding beauty with exceptional coloured glass, IN PASTEL SHADES OF BLUE, PINK & GREEN This coloured glass is of a heavy and deep texture. The leads are in sound condition. The frame measures 36 1/4W" x 26 1/2 H" . The glass measures 32 1/4" x 22 1/2 " . This Antique Window Shipped and packed to USA would be $189. You can buy this now using the paypal link below the photograph or e-mail sales click here to arrange payment by personal check ,money order or bank transfer.